Although it is still Spring, we are already looking forward to the Autism Berkshire 2018 Winter Ball. The ball will be held on the evening of Saturday, November 10, at the Hilton Hotel Reading, from 7pm to 12.30am. As usual, the proceeds will help to fund our work supporting autistic people and their families across the county. Tickets include a glass of fizz on arrival, a three-course dinner and tea and coffee. We are pleased to announce that the first 25 tickets are now on sale at a discounted early bird price of £35 per person (plus a booking fee of £2.27). Once these have all gone, the price will go up to £40 per person. The Sharp Nine Trio will be at the ball for another year, playing covers old and new to get people out on the dance floor after dinner. 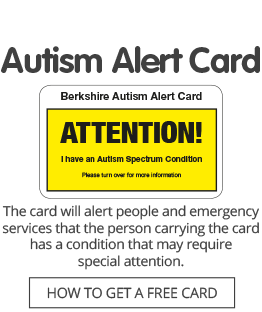 Click here to buy tickets for the ball and for more information, or call the Autism Berkshire office on 01189 595 594 or email admin@autismberkshire.org.uk. If you can’t make it to the ball, you can still buy tickets in the Stepping Forward UK Winter Draw, which supports Autism Berkshire and other disability charities in the county. The top prize in the raffle, which will be drawn during the ball, is £1,000 of John Lewis vouchers, with lots of other great prizes also available. Full details to follow. Raffle tickets, priced £1 each, are available from the Autism Berkshire office and at our activities around the county. Please contact us on 01189 594 594 or email admin@autismberkshire.org.uk if you would like to buy raffle tickets. The Hilton  Hotel  Reading is once again kindly offering special discounted room rates  for guests who want to stay overnight after the event. Call the hotel on  0118 916 9000 and mention the Fundraising Ball to make a booking.